Band is a musical organization for students of wind, brass and percussion instruments. Klein offers multiple bands for students interested in instrumental music within the school day. Instruction begins in the sixth grade in homogeneous instrumental groupings and advances to full performance groups as student skills improve. In high school, the various concert bands meet daily after school to make up the marching band which performs at all varsity football games and selected contests. During concert season section rehearsals are scheduled after school one day a week to prepare for concerts and contests. While students may experience participation in an elementary choir, they really begin to develop more serious vocal training at the intermediate school in sixth grade. As their voices develop, they will experience a full range of musical styles. 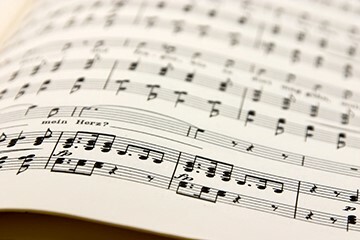 Emphasis is placed on the development of proper vocal techniques, the study of choral techniques, basic music theory, sight-singing, music history and literature, creative self-expression, and vocal performance. The Klein ISD Men’s Choir Concert is in its twenty third year. This annual choral event features the singing talent of more than 650 male singers in grades 5 – 12 from 41 participating schools in the district. What began as collaboration between the High School and Intermediate School Choir Directors has expanded to include all of the KISD elementary music and secondary choral programs. The concert’s purpose is to promote choral music, positive student involvement, and camaraderie amongst the men of KISD. Selections are performed by the KISD High School Men’s Choir and the KISD Intermediate School Men’s Choir. Both choirs and fifth grade students from all KISD elementary schools perform A Tribute to the Armed Services as the grand finale to the concert. Preparations for the event begin as early as the previous school year with selecting the date, reserving the venue, selecting music for the concert, culminating with the actual performance. Most of the communication happens as soon as we return to school in the fall. Our elementary coordinators work to secure campus representatives from each elementary school. All registration materials for each school go to the proper coordinator. The biggest tasks are getting everyone’s name in the program and ordering all the t-shirts. Champion Forest Baptist Church has been a wonderful community partner and has hosted us for several years. We have also built a relationship with University of Houston. They have sent a men’s acappella group for the past three years as our featured performers. 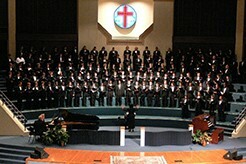 The KISD Men’s Choir Concert is an annual event. The Klein ISD Fine Arts Department hopes all will come out and support a long standing choral tradition of young men of Klein Independent School District. Students in Klein ISD have the opportunity to explore dance in high school. Students are introduced to the fundamental skills of all dance. Creative expression and interpretation through movement are explored. The dance teams are the extra-curricular component of the dance department. Music instruction in Klein begins in the elementary grades where the curriculum is based on the teachings of Carl Orff and Zoltan Kodály. Klein's elementary students receive instruction in two 45 minute classes per week from music specialists. 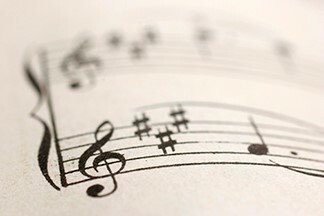 Daily instruction in vocal or instrumental music is offered at the intermediate level, beginning in the sixth grade. Students in the fifth grade may begin the study of stringed instruments held at the elementary campuses before or after school. 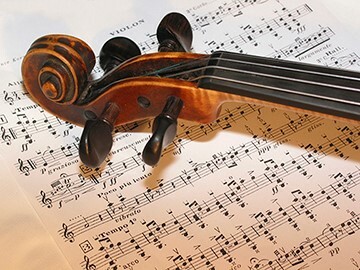 In Klein ISD, students in the fifth grade may begin the study of stringed instruments held at the elementary campuses before or after school or they may wait until the sixth grade. All wind and percussion players who participate in full orchestra must be current active members of the band program. The full orchestra rehearses outside the regular school day. The students experience a variety of musical opportunities from small chamber ensembles to full symphonic orchestral playing. Emphasis is placed upon cultural growth, performance quality, and creative self-expression. In Klein ISD, the theatre arts TEKS are integrated in the ELA curriculum at the elementary level. Starting in the sixth grade, students may explore theatre where they will learn the skills necessary for both the performance and technical side of the activity. In high school, students have multiple opportunities for performances of dramas, comedies, musicals and the UIL One Act Play. Klein ISD provides instruction in visual art at all levels. The district has employed art specialists on all intermediate and high school campuses and starting in the fall of 2007, embarked on a multi-year process of employing specialists on all elementary campuses. Students examine both natural and man-made objects, explore art elements (line, value, texture, color, form and space), and apply art principles (unity, emphasis, balance, variety, movement and proportion) in designing, developing and creating original artworks (drawing, painting, printmaking, sculpture and digital media). Students will study the artworks of contemporary and past artists and that of fellow students to enhance their appreciation of art culture and heritage and to develop visual discrimination and evaluative skills in applying aesthetic judgements. Klein ISD students may enter their work in many area contests including the Houston Livestock Show & Rodeo, Scholastic Art Contest, VASE, Youth Art Month and many others.